n late 1906, the Wrights seemed to make some progress in selling their airplane. Charles Flint, a highly successful New York dealmaker, heard of their invention through a former employee. He invited them to meet with him when they visited New York in December to attend the Aero Club of America exhibition. 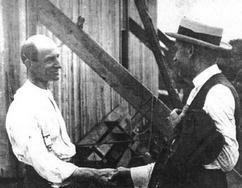 They met, and Flint explained he would like to sell the Wright airplane abroad, especially in Europe. After several follow-up meetings in both New York and Dayton, Flint and the Wrights arrived at a tentative agreement. Flint fired up his sales force in Britain, France, and Germany. Meanwhile, the Aero Club president, Courtland Bishop, mentioned the Wright's invention and their problems with the U.S. government to his brother-in-law, Congressman Herbert Parsons. Parsons took the matter to President Theodore Roosevelt. 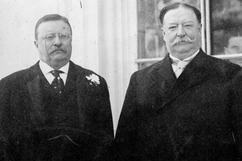 Roosevelt recommended to Secretary of War Howard Taft that he investigate the Wright's invention. 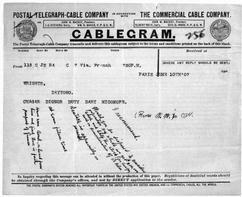 Taft sent a directive to the Board of Ordinance, and the Secretary of the Board wrote the Wrights requesting more information. 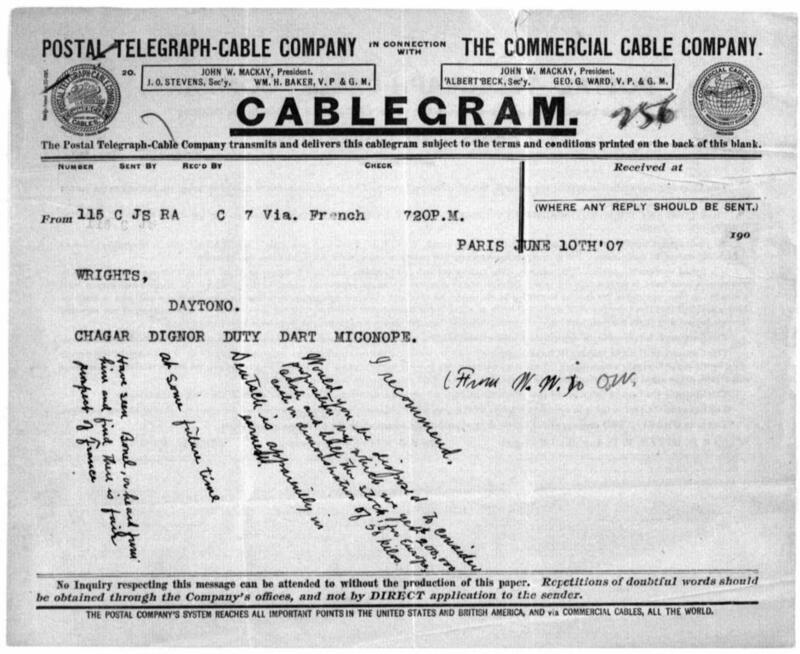 Orville sent the information promptly and on May 22, 1907, the secretary invited the Wrights to submit a proposal to provide an aircraft and flight instruction to the United States Army. 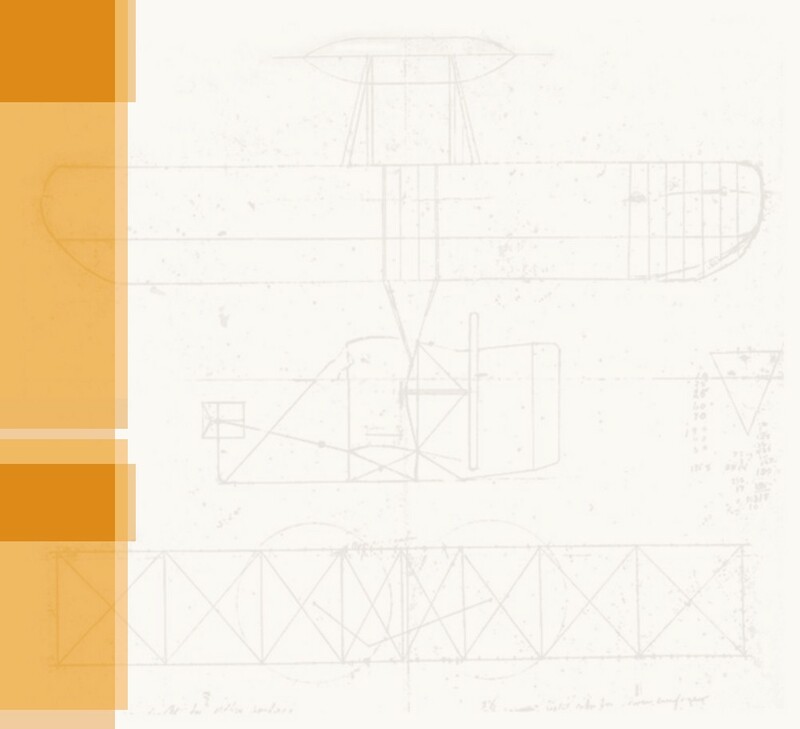 Encouraged, the Wrights prepared a proposal and began to build several aircraft with two seats, a powerful new motor, and improved controls that they would use for demonstration flights. The Board of Ordinance, unfortunately, did not respond with the same enthusiasm. Although the door had been opened for the Wrights, talks dragged on. 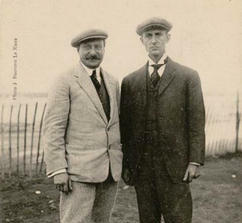 At the same time, Flint's agent in Europe, Hart O. Berg, requested that one of the Wright brothers travel to Europe to meet with potential buyers. Wilbur met him in London in late May, and Berg explained that at present, neither Great Britain nor Germany were interested in purchasing flying machines from two American bicycle makers. The situation in France, however, was more promising. The French were familiar with the Wright's work, and Berg had opened talks to form a syndicate to manufacture Wright airplanes in France. But the project soon bogged down in politics. Slow mails, cryptic telegrams, and newspaper gossip made Orville tense and nervous. What was happening Europe? He resolved to go, as soon as he finished one new aircraft. In mid-July, he crated up the new airplane — the first Wright Model A — and he and the aircraft left for France. Charley Taylor went too, to help Orville put the aircraft together and to serve as the Wright's flight mechanic while they were in Europe. It wasn't to be. Once Orville was reunited with Wilbur in Europe, he could see for himself how hopelessly ensnared their business plans had become in bureaucracy and political intrigue. The situation brightened briefly in Germany — they actually made some headway in forming a German syndicate — but the negotiations stalled, as they had in France. The brothers concluded that to sell airplanes in Europe, they would have to make demonstration flights and peddle them to anyone who had cash in hand. To do that, they would need a stock of airplanes. They decided to go back to Dayton, finish the planes they had begun, and come back to Europe to fly in the spring. On November 11, Orville and Charley Taylor left for home. Wilbur stayed a few more weeks to tie up loose ends and to line up some suppliers of materials they would need, then he too sailed for Dayton. Despite the fact that they hadn't sold an airplane or established an airplane business, the Wrights' visit to Europe had an important effect. While in France, they met and became friends with Lieutenant Frank Lahm, who had recently been asked to join the new Aeronautical Division of the United States Army Signal Corps. Lahm wrote a letter to his commander, Brigadier General James Allen stating that it was "…unfortunate that this American invention, which unquestionably has military value, should not first be acquired by the United States Army." The letter had the desired effect. It moved the Army to put pressure on the Board of Ordinance to hurry things along. They sent a letter to the Wrights in Europe requesting a meeting. 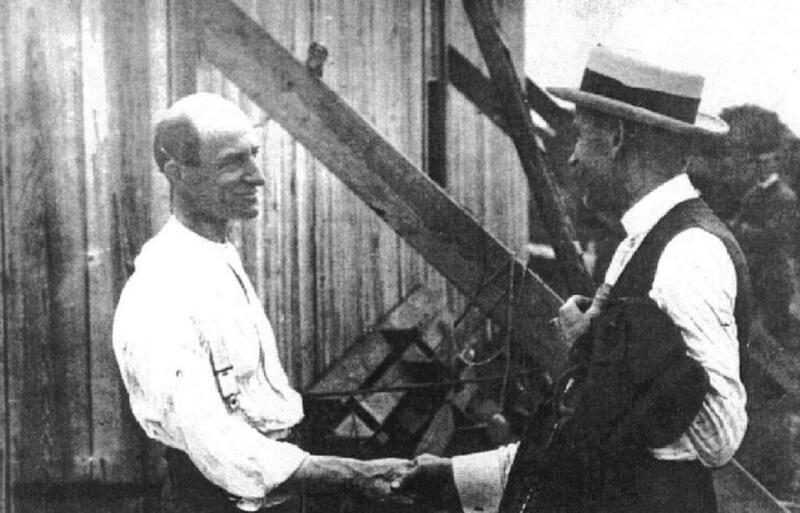 When Wilbur docked, he caught a train for Washington, D.C.
Meeting Mr. Wright – Hart O. Berg's first impressions of Wilbur Wright. Selling the Wright Aeroplane – Charles R. Flint, a major international dealmaker and financier at the turn of the twentieth century, remembers his dealings with the Wright brothers and how he eventually sold their airplane to France and Germany. 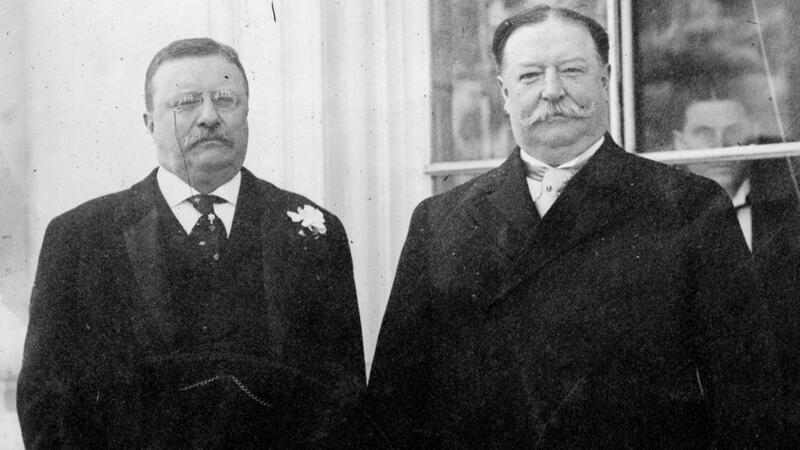 President Theodore Roosevelt and his Secretary of War, William Howard Taft. 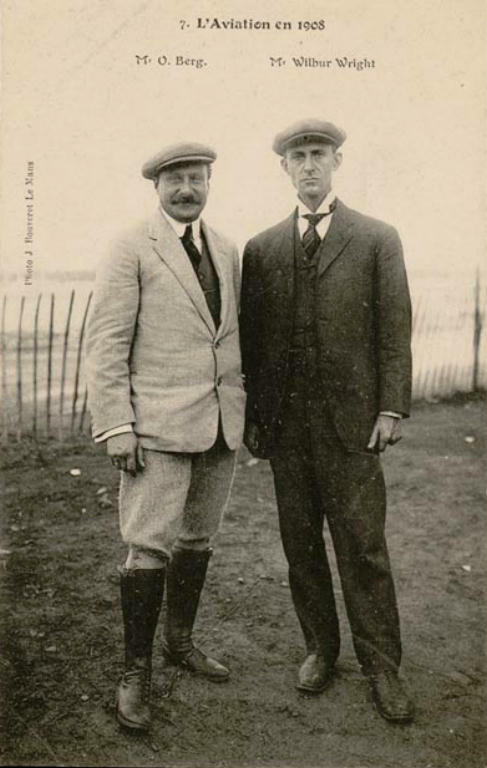 Taft would later become president and see the U.S. Army finally buy their first airplane from the Wright brothers..
Hart O. Berg with Wilbur Wright. Berg was known in Europe as a wheeler-dealer in new technology. One of the many coded cables that Wilbur sent to Orville before Orville came to Europe. Orv's translation is below the code. Wilbur great Charley Taylor when he arrives in France, ostensibly to help them put an aircraft together. 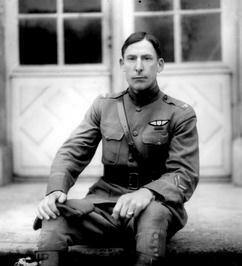 Lt. Frank Purdy Lahm was an accomplished balloonist before he joined the Aeronautical Division, U.S. Signal Corps.